This week on B-Side stories, host Martin Andrews chats with Jon Coddington, marionette maestro and barista extraordinaire. 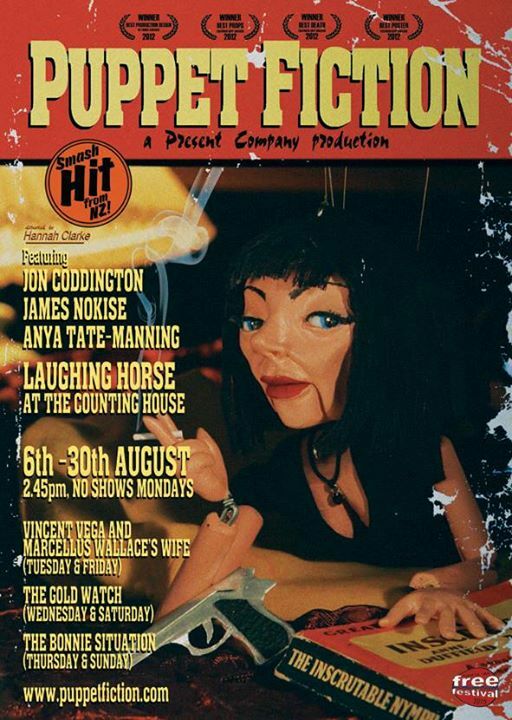 Jon’s Pulp Fiction marionette show, “Puppet Fiction” recently returned from the Edinburgh Fringe Festival where it was the No.1 rated free day show of the festival. Jon discusses the origins of his marionette work, what it was like in Edinburgh and closes the show with his best Christopher Walken impression! This entry was posted in Arts & Culture, Enterprise, Entertainment and tagged Comedy, Fringe Festival, Marionette, Pulp Fiction, Puppet Fiction, Puppets by lauriestarfish. Bookmark the permalink.